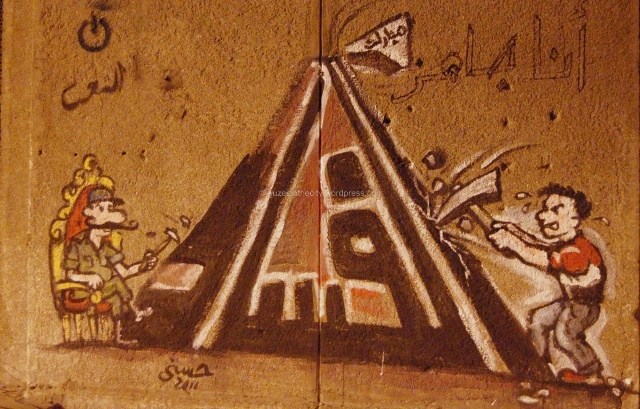 The walls of the Mogamaa are filled with protest graffiti. 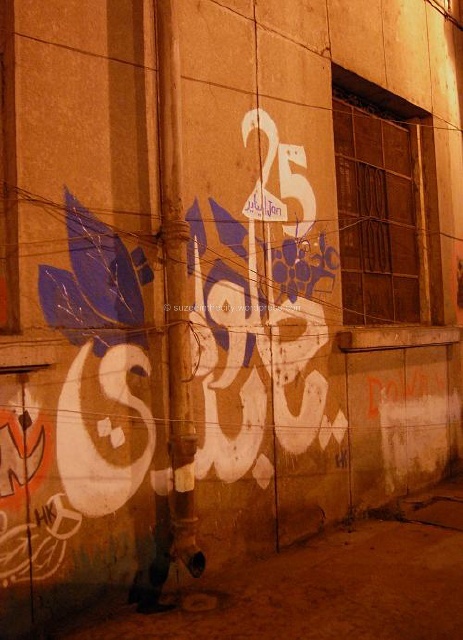 There’s rarely an empty space left between the large and colourful murals by HK, the witty caricature-like pieces by Hosny and the stencils by El Teneen, Sad Panda and many anonymous artists. 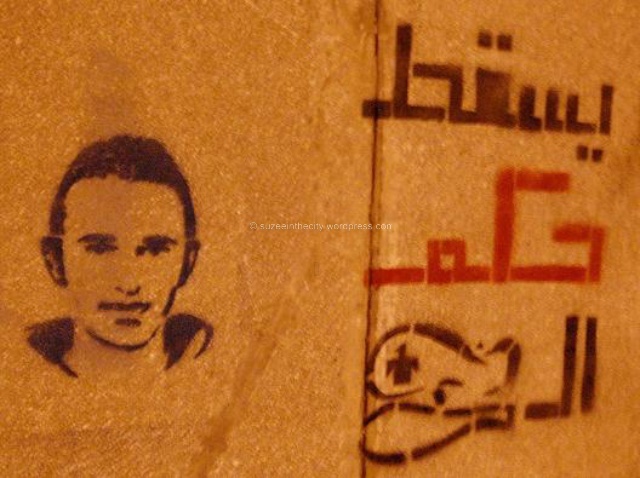 The graffiti varies from sardonic to somber, determined to outraged. 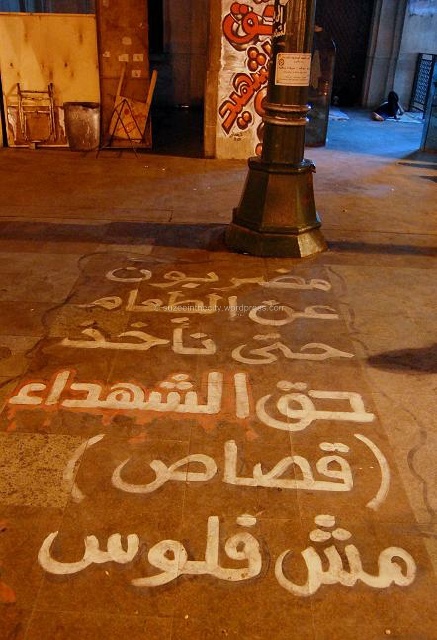 Their words reflect the sentiments of the people of Tahrir Square, who protested for eighteen days, and then returned to protest for many months more when the government repeatedly let them down, and the Army repeatedly attacked and vilified them. 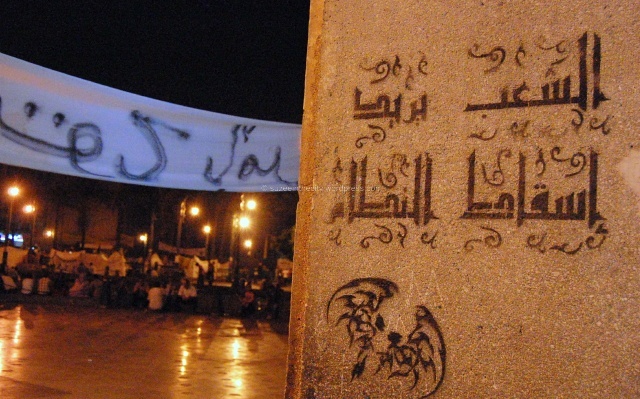 Last month’s sit-in in Tahrir transformed the square into a tent city, and Mogamaa became an open art gallery, earning new graffiti pieces every day by the protesters themselves, and by artists who came to express their solidarity on the walls. 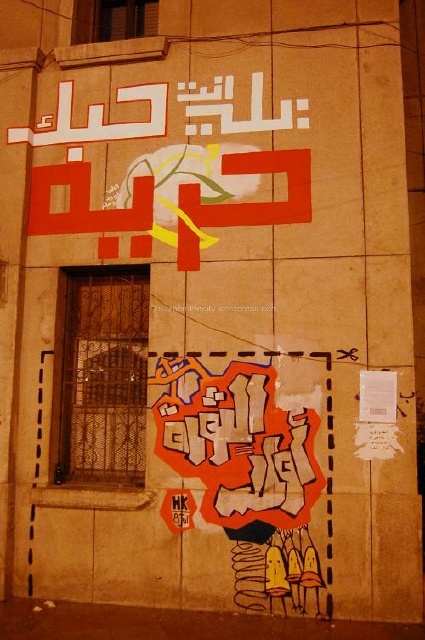 Some of these pieces have existed since the 18-day revolution, including the murals ‘We Are All Khaled Said’ and ‘Helw Ya Balady’ by HK. Seeing these still intact six months later gives me a sense of hope that the boundless optimism and almost frightening sense of euphoria of that time isn’t just a thing of the past, in light of all the setbacks Egypt has suffered in the past months. 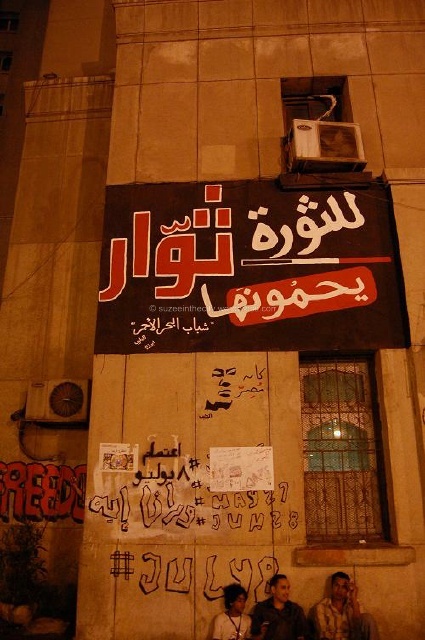 Walking around the Mogamaa is like a live history lesson into the people’s uprising and the SCAF heinous arrests and torture of the peaceful protesters. 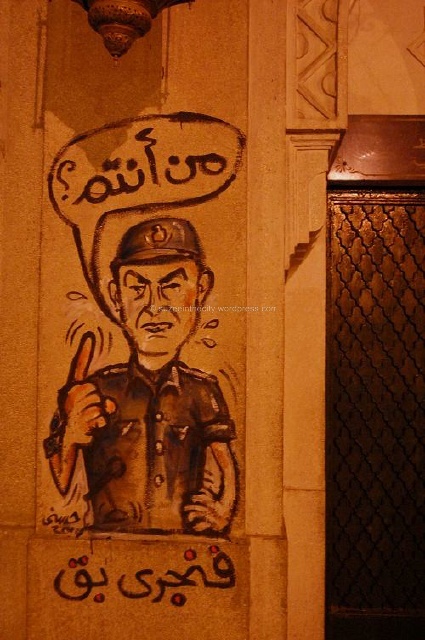 The concept of peaceful demonstrations has yet to sink in to the heads of army generals that are unused to Egyptians talking back and arguing for their rights. 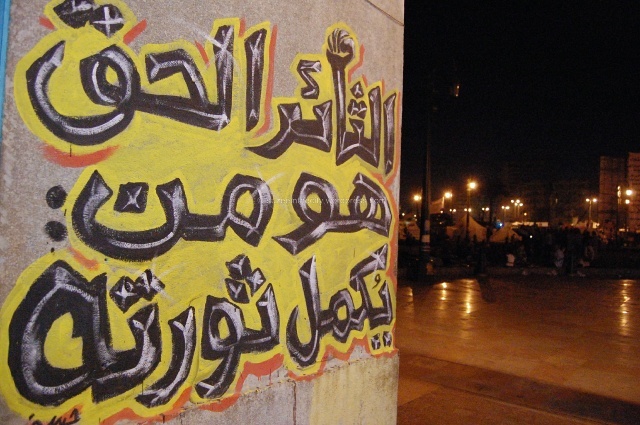 Since the SCAF wouldn’t listen to the people, the people simply wrote on the walls. 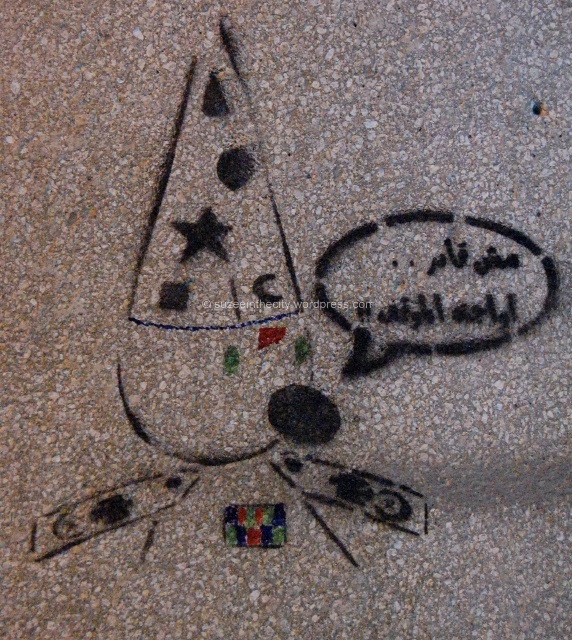 Today, the square is currently filled with army foot soldiers and policemen, many of whom are diligently protecting Tahrir Square’s grass (Public Enemy Number One). 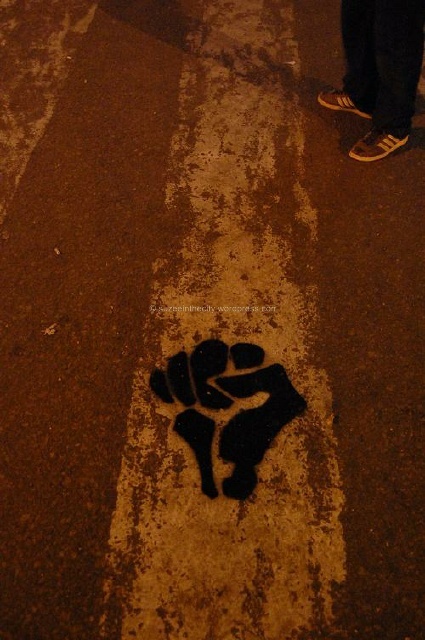 Yet the graffiti pieces remain (for now). 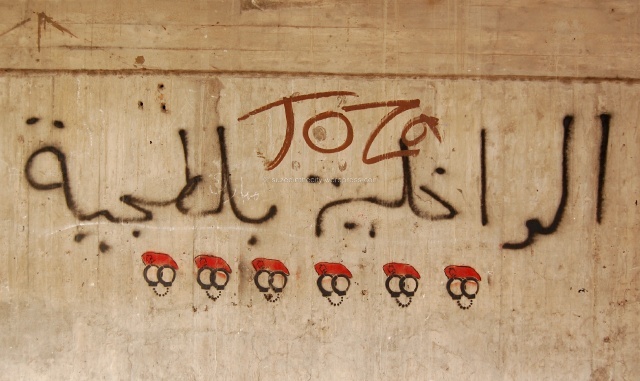 I wonder if any of the soldiers stop to appreciate the artwork, if the messages get through. 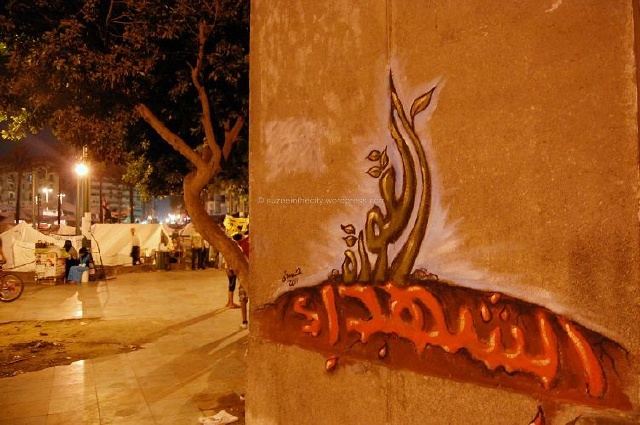 Soon, the Mogammaa will get a nice paintjob and all this art will be washed over. 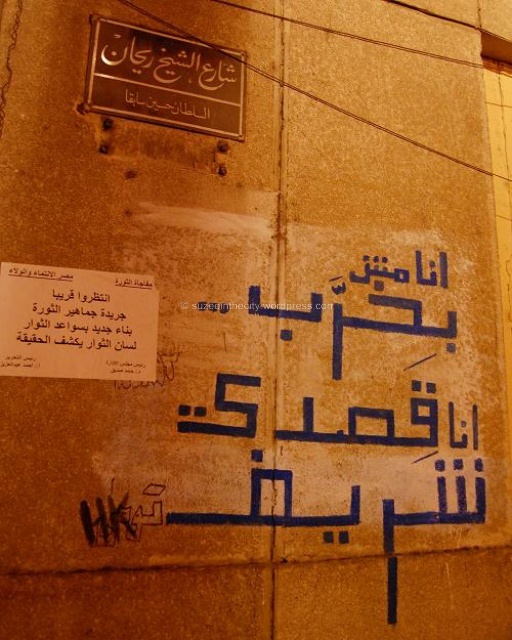 ‘We Are All Khaled Said’ graffiti by HK. 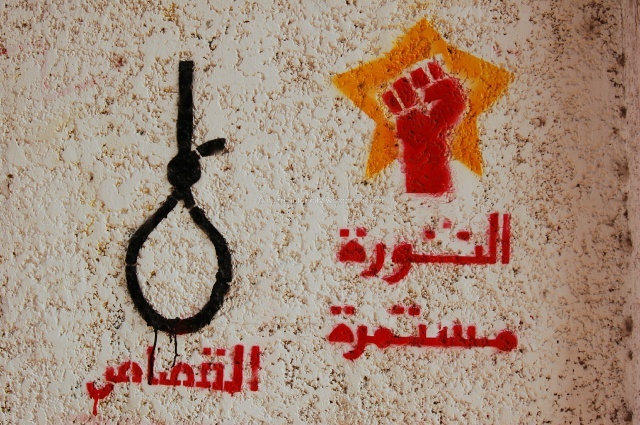 These pieces have existed on the back wall of the Mogamaa since at least February 12th, 2011. 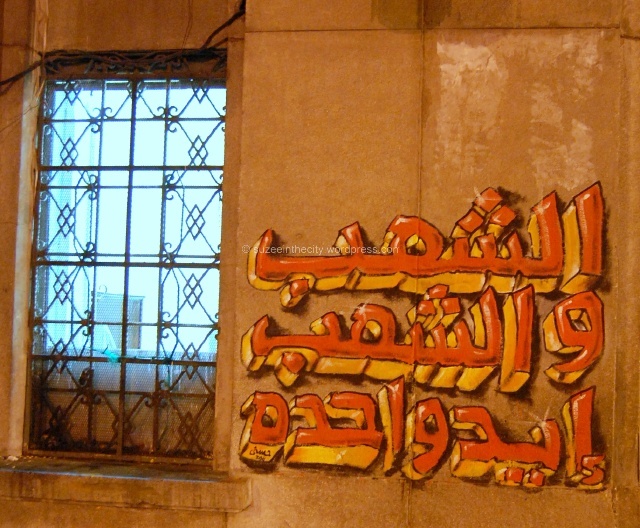 ”The Least of your Love is Freedom’ painted on the first floor above ‘Revolution First’ by HK. 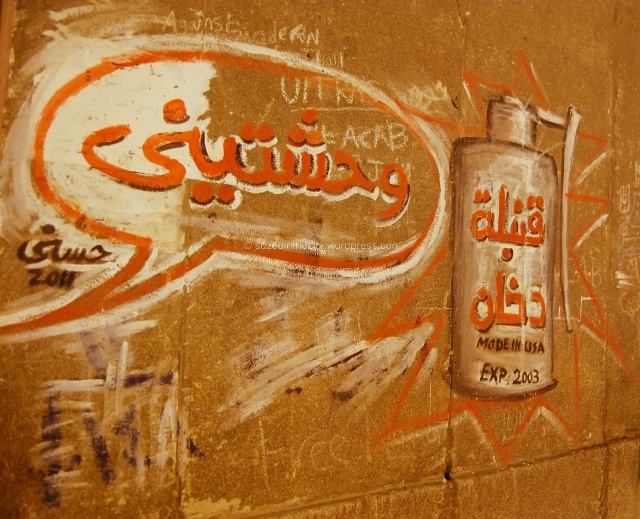 The top graffiti was originally painted on the back wall of the Mogamaa. 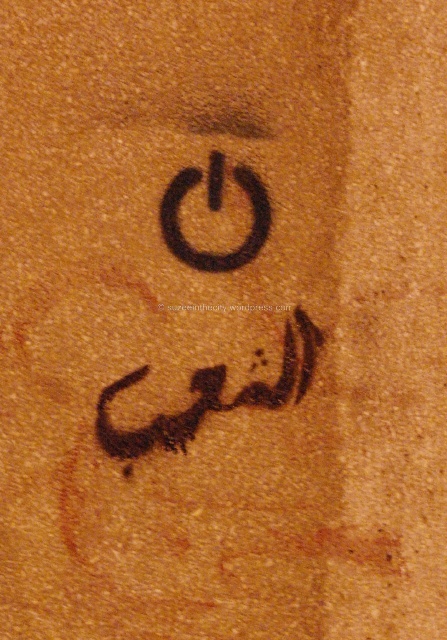 Note the scissor marks around the piece, reminiscent of Banksy on the West Bank wall. 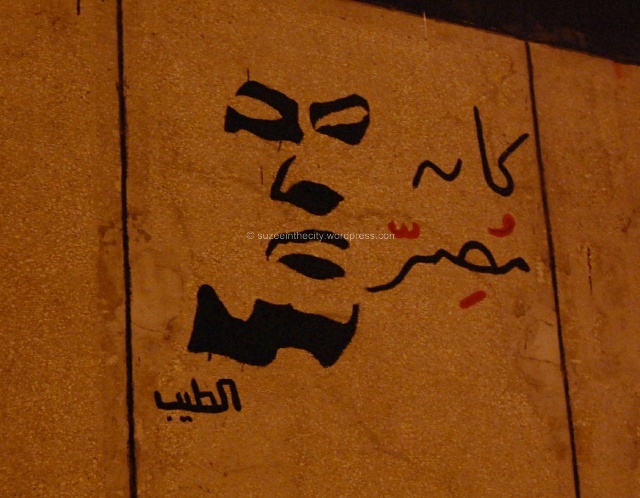 ‘He was Insistent’ graffiti of Mubarak. 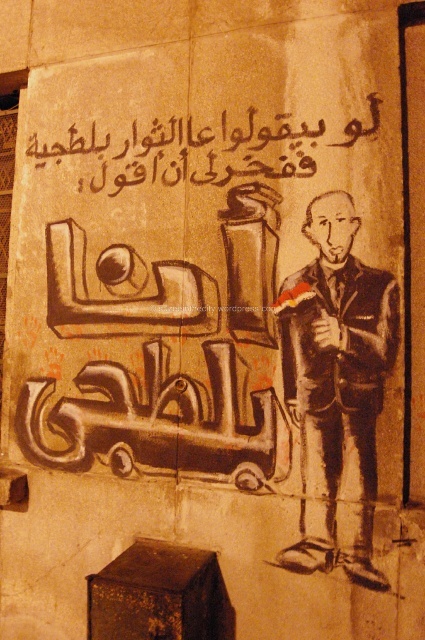 ‘Corruption’ a protester tries to break it down, while a SCAF member sits idly by. 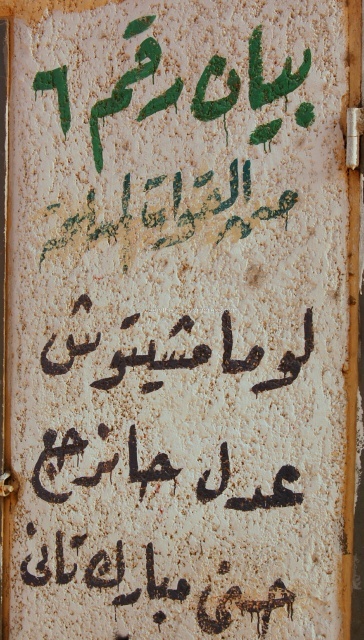 ‘The People and The People, One Hand’ an ironic chant after the army’s repeated attack on protesters. 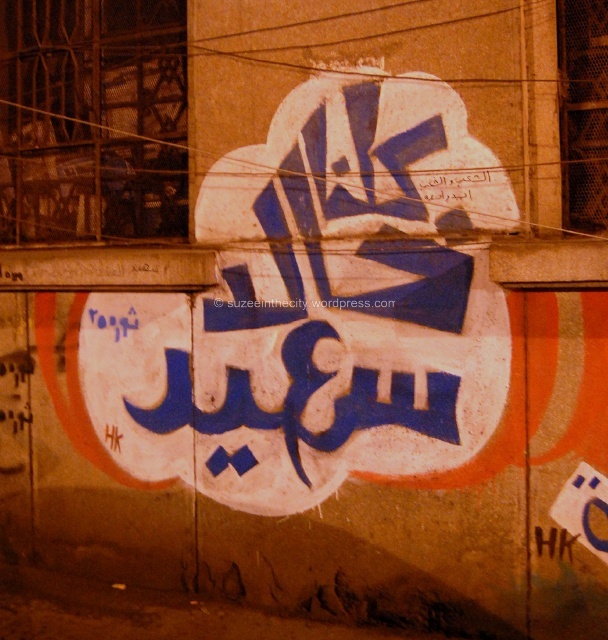 Graffiti on Mogamaa wall. ‘The Mosheer has made me More Sad’ says the Sad Panda. 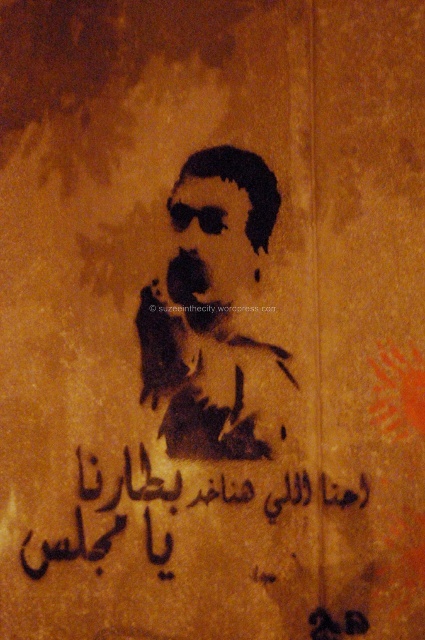 This entry was posted in Street Art Fascination and tagged Art, artwork, Bo'loz, Cairo, Cairo street art, Dalida, El Teneen, Fangary, graffiti, Helw Ya Balady, HK, hosny, mogammaa, Murals, peaceful protesters, protest graffiti, Red Beret, Red Sea, revolution, Sad Panda, SCAF, sit-in, tahrir, tent city, thugs, walls. Bookmark the permalink. 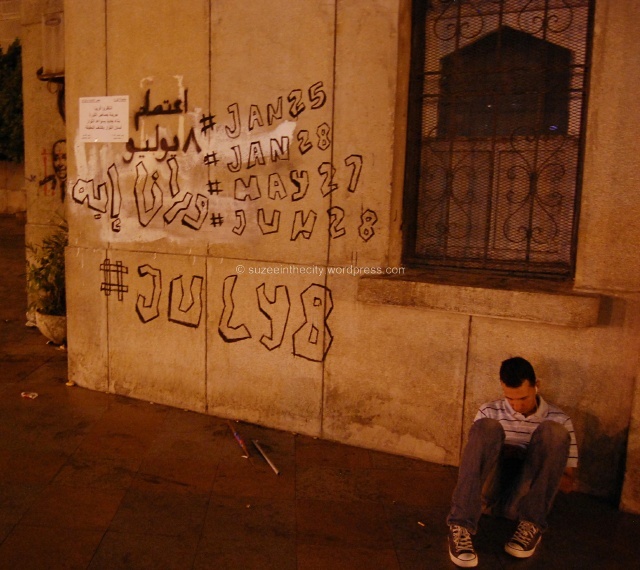 Glad you are recording this historic street art in case, as you say, one day it is painted over and disappears. 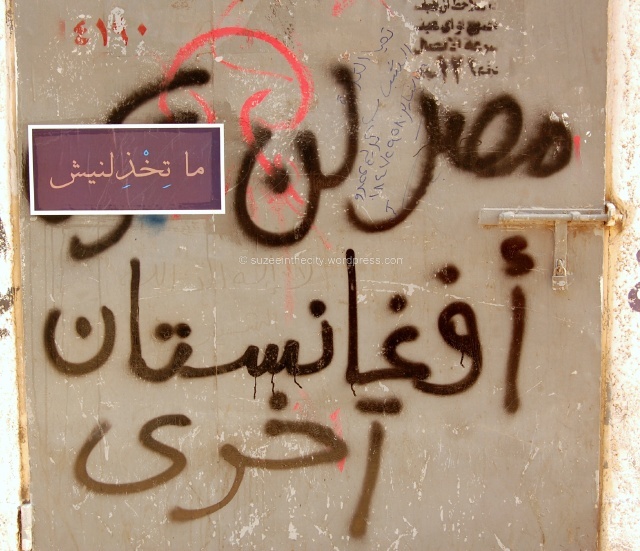 I enjoy your posts and am glad you are putting English captions under the images when you post them so we can understand what the art is saying, if not from a cultural context, at least from a linguistic one. Including your work in my thesis and of course will give you full attribution. 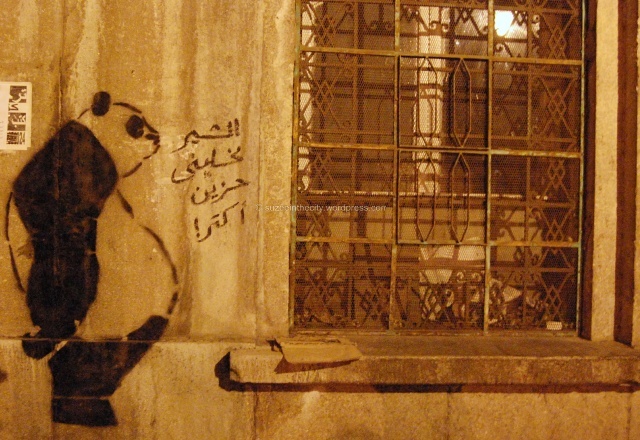 Heard about you and Taggers (Sad Panda) via BBC.Thanks for the Blog!